Hats can add a jaunty touch to your ensemble, but they're also a valuable accessory for avoiding sunburn. They protect the part of your hair without having to add greasy sunscreen to your scalp, and if the brim is wide enough they can also shade the face, neck, and upper chest. I wear a hat in sunny but not-overly-hot weather when my shoulders and arms are protected with sleeves, or in conjunction with sunscreen to keep my part covered and gain a little extra coolness from the shade. Once a staple accessory in the nineteenth and early twentieth centuries, parasols have fallen out of fashion in recent decades. But with rising skin cancer concerns they're starting to come back onto the market, and I'm hoping to be part of the vanguard bringing them back into style, too. 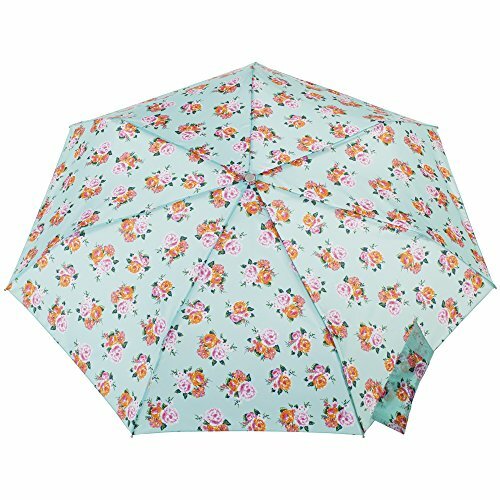 Look for umbrellas with UPF ratings like this sun umbrella I got from Totes, which does double-duty rain or shine and comes in an array of cute prints. While parasols can be a little awkward to maneuver in crowded spaces, they work great for events like garden parties and barbecues where you're standing still or sitting in one place, and if angled correctly can shade your entire body from the sun. While I'm not fond of the feeling of sunscreen on my skin, in some cases it's the only option for sun protection, like at the beach or on hot days with lots of activity. When I do need to use sunscreen, I use an SPF-50 mineral formula with both zinc oxide and titanium dioxide, which I find works better than chemical sunscreens or formulas with just one kind of mineral. 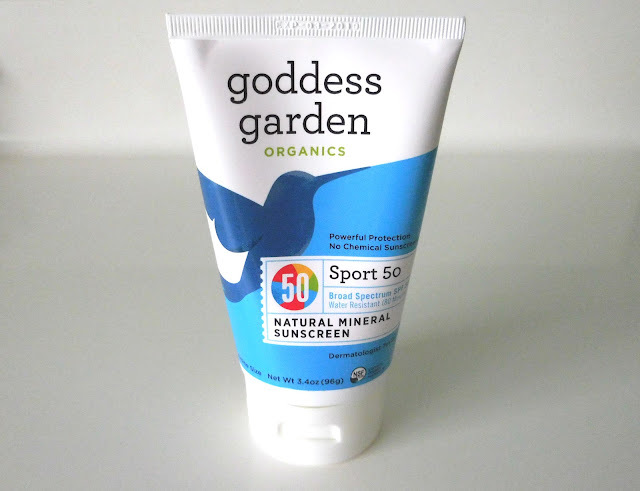 This summer I'm using this Goddess Garden sport formulation with a base of natural and organic ingredients--I got mine at Whole Foods, but my local CVS carries the brand as well, and it's also available online. Sometimes sunburns still happen, even if you're normally careful. When I spend a bit too long in the sun unprotected and get a slight burn, I soothe it with witch hazel. Witch hazel helps to reduce redness, inflammation, and irritation from sunburn, and the the aloe vera base of Thayer's alcohol-free formula is soothing and moisturizing. (Avoid the more common alcohol-based witch hazel astringents, which can dry the skin out and further irritate a burn.) As a bonus, witch hazel is also handy to have on hand in the summer as it can relieve redness, swelling, and itchiness from insect bites!